The kids made their show debut Labor Day Weekend at the Amana Colonies, IA show. Lincoln picked up a best cardigan puppy and then went on to a puppy group 2. Thanks to Judge Ruth Tessendorf. 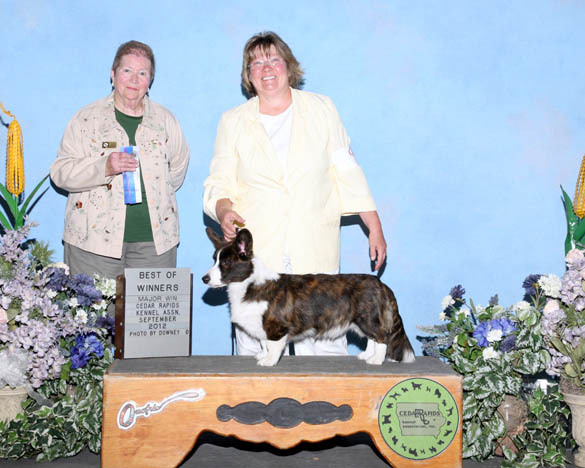 The next day, Lincoln went on to pick up a Best of Winners for a 4 pt major under Judge Alice Inman. It was a wonderful way to end the weekend. Thanks to Judge Inman, Connie Whan, Kerri Carter, Missy and Chas Brees DeYoung, Rus and Sherilyn Mumme and, of course, Kathy Gibson and for making it possible for Lincoln and I to have too much fun. We then moved on to the Des Moines, IA show the following weekend. Olathea picked up her first point, and Lincoln picked up another one too. All in all it was a great start to their show careers. After a pretty rocky show start…(Lincoln had some real fun putting on a hip hoppy show), we did alright by the end of the cluster show. 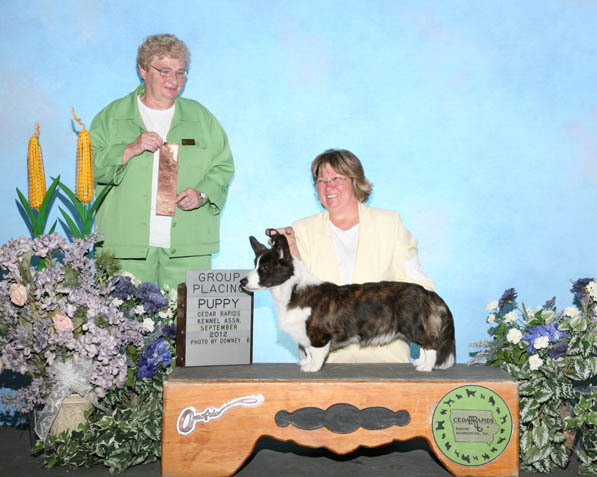 On Sunday, Lincoln picked up “best cardigan puppy’, and then went on to a Puppy Group 2. What a difference a day makes! 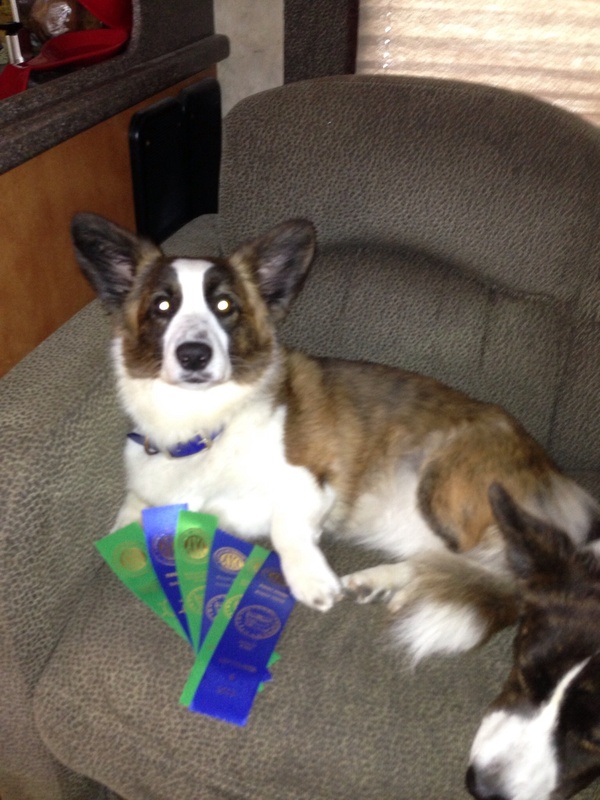 Then on Monday, he decided he did remember how to gait…and took “best of winners” for the crossover 4 pt major. Good boy, Linc! Then we moved on to Des Moines for some more fun with friends and dogs. Once again, we shared the wealth and everyone took a point. Linc took “best of winners” on Saturday, and Olathea decided on Sunday she had enough of her brother getting all the attention. She showed like a pro, and thanks to Sherilyn for taking her back in and beating me for “best of winners” on my girl! It was a super fun ten (10) days! Believe you me it wouldn’t have been half as fun without all the people we have grown to love and call family. Congrats to all the winners, and let’s do it again really soon!